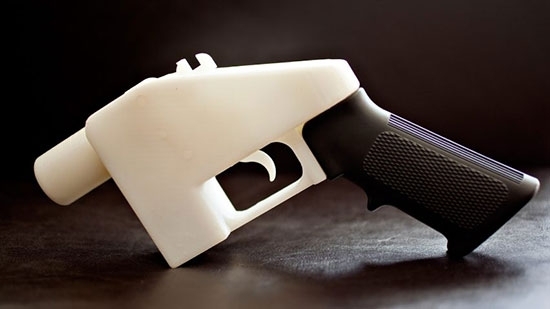 Residents of Pennsylvania will not be able to download plans to make 3D-printable guns after the company that makes those plans agreed to block access to the files. Attorney General Josh Shapiro, Governor Tom Wolf, and the Pennsylvania State Police sued Defense Distributed, a Texas nonprofit that created the plans, on Sunday to stop them from allowing Pennsylvanians access. Defense Distributed had planned to upload schematics to its site on August 1st, but a 3D plan for an AR-15 type gun was uploaded last Friday 7/27 and was downloaded 1,000 times. A settlement between the U.S. State Department and Defense Distributed is allowing the release of the 3D plans nationwide. "The harm to Pennsylvanians would have been immediate and irreversible," said Shapiro. "Defense Distributed was promising to distribute guns in Pennsylvania in reckless disregard of the state laws that apply to gun sales and purchases in our Commonwealth. Once these untraceable guns are on our streets and in our schools, we can never get them back. The decision tonight to block Pennsylvania users from downloading these 3D gun files is a victory for public safety and common sense. The company also agreed to not upload any new gun files to its sites, another important development." A Chester County lawyer has been accused of defrauding 25 clients over $90,000. 37-year-old Joshua Janis of Downingtown was arrested and charged with felony theft. Janis is accused of taking money from prospective clients and depositing the money in his own personal account instead of a trust account. He would then proceed to do little to no work on their case. Janis was previously suspended from practicing law after the Office of Disciplinary Counsel of the Supreme Court of Pennsylvania received multiple complaints. If you have any information about this case, contact Chester County Detectives at 610-344-6866. A Delaware couple in their 80s was assaulted, kidnapped, and robbed over the weekend after giving help to a stranger. It happened on Saturday, 7/28, at their home at the Rehoboth Beach Yacht and Country Club. 28-year-old Steven Snell of Millsboro entered the home and asked if he could use the phone and have a glass of water. That's when he assaulted the 82-year-old man and his 81-year-old wife. He put the man in the trunk of his car and drove the wife to an ATM. He forced the woman to take out money and then fled with the man still in the trunk. The wife then called police who found the car and freed the man from the trunk. Snell was later arrested and charged.